Waterco’s MultiCyclone PRO has been specially created for the water treatment sector and has a pressure rating of 690 kPa. MultiCyclone PRO operates by using centrifugal filtration; incoming water enters 16 hydro cyclones tangentially, generating a strong centrifugal effect. This process draws the unfiltered water into its spinning chamber, which sends sediment to the wall, leaving clean water in the centre. The filtered water then migrates towards the centre of the hydro cyclone, where the flow reverses and spirals upwards through the outlet. Accumulation of sediment can be visibly monitored through the MultiCyclone’s clear sediment chamber. 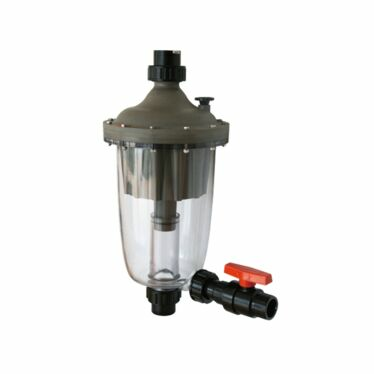 A MultiCyclone can cut 80 per cent of the dirt that clogs a filter, and it eliminates backwash by up to 40 per cent, extending the life of a filter. 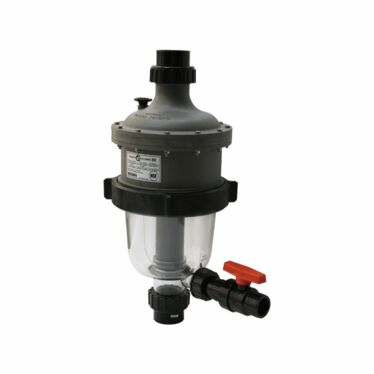 The MultiCyclone is also designed to reduce filter maintenance, with no moving parts or media that need to be cleaned or replaced. The installation of a MultiCyclone as a pre-filter to a cartridge filter can reduce filter cartridge cleaning and replacement. Another major benefit of the system is that only 15 litres of water is required to clean it. Plus it’s easily cleaned by simply opening the purge valve. The MultiCyclone has been utilised in a vast array of applications from cooling water, water features, aquaculture, koi ponds, aquariums, car and truck wash down water recycling to commercial water filtration.